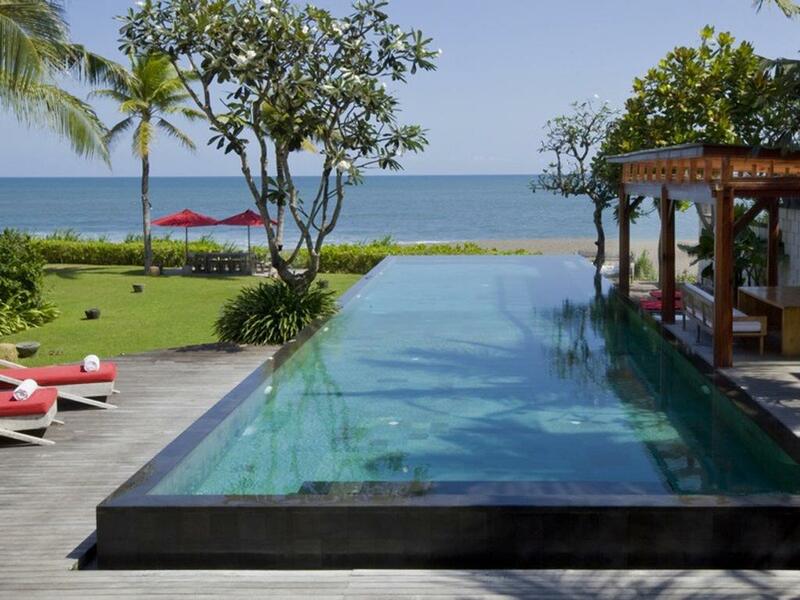 The six bedroom Seseh Beach villa II is equally charming. 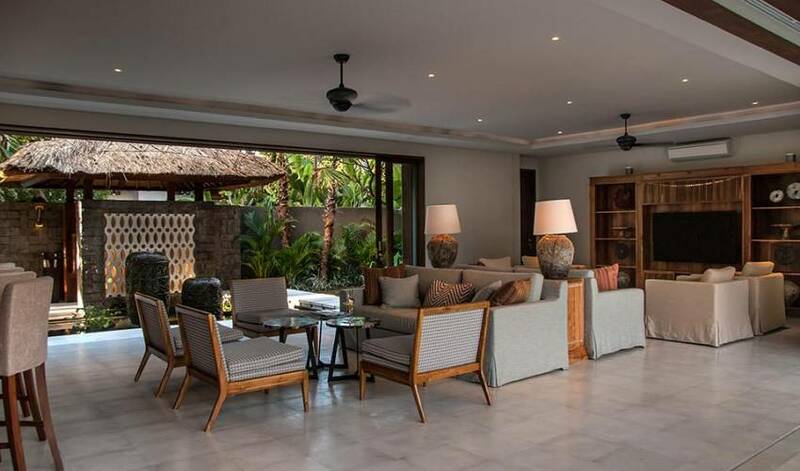 The villa features a private 14-metre pool with a sun deck and relaxation pavilion, indoor and outdoor dining rooms, spacious grounds and a kids’ bunkroom. 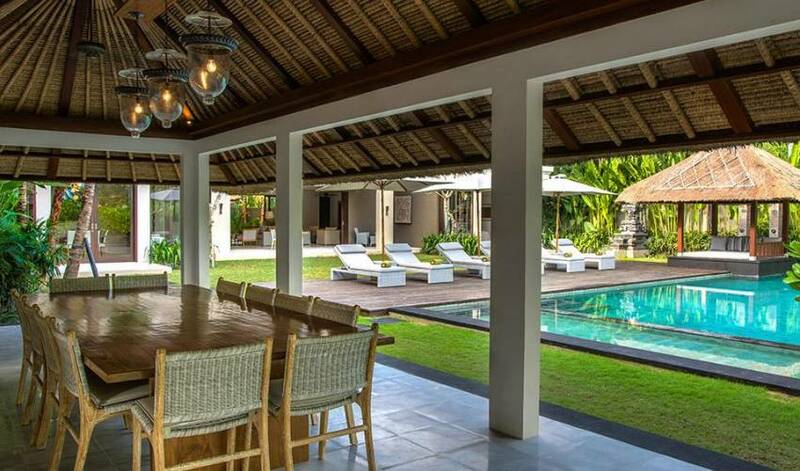 Seseh Beach Villas, our five and six bedroom luxury homes, overlook the Indian Ocean in the peaceful rural village of Seseh on Bali’s south-west coast. Our great team of staff have been professionally trained to provide you with nothing but the very best service. You will be looked after by a full-time manager, butlers, 24-hour security and a personal chef who will to cook anything you desire. 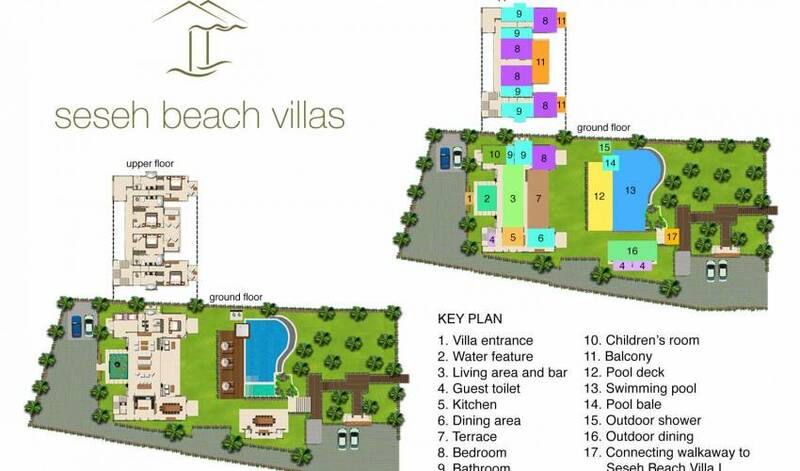 The villas are packed with facilities to satisfy and entertain every holidaymaker. Indoors are large, air-conditioned, open-plan living spaces. PlayStation, Wii and Xbox (with a 60-inch smart TV to play them on), as well as a whole host of regular games and toys, will keep the kids amused. 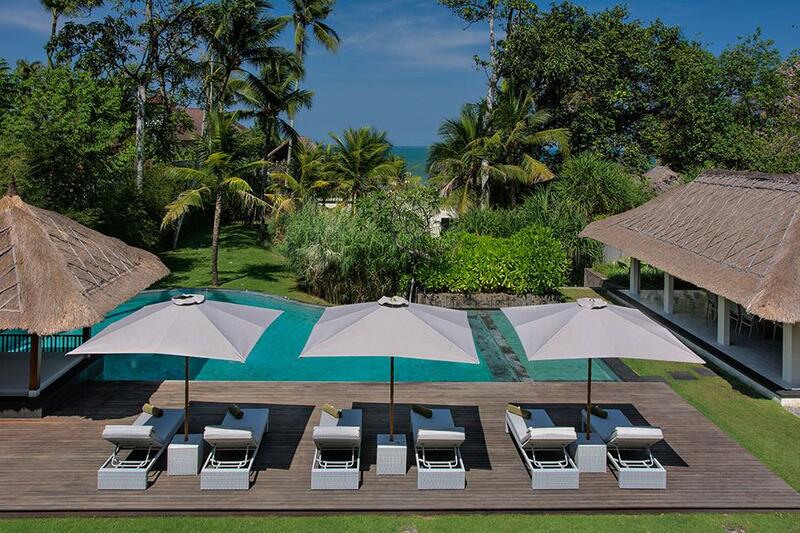 Outdoors, the poolside sun loungers invite relaxation. 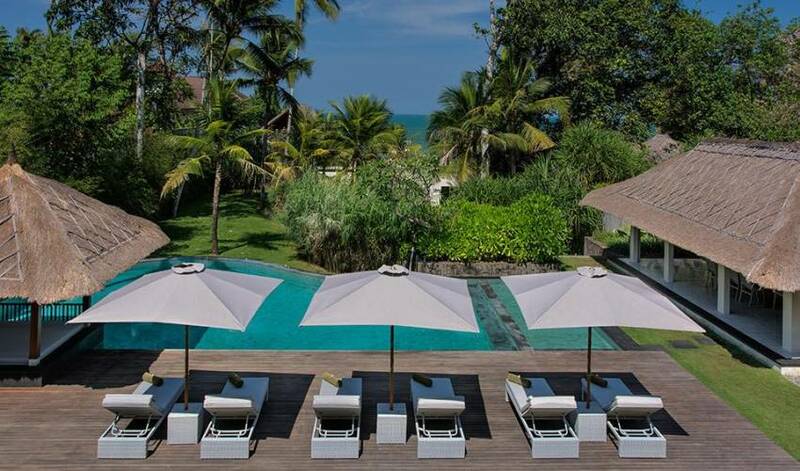 Enjoy casual lunches and tropical evening meals in the open-sided dining pavilion, followed by a stroll down to the beach for a paddle in the sea. 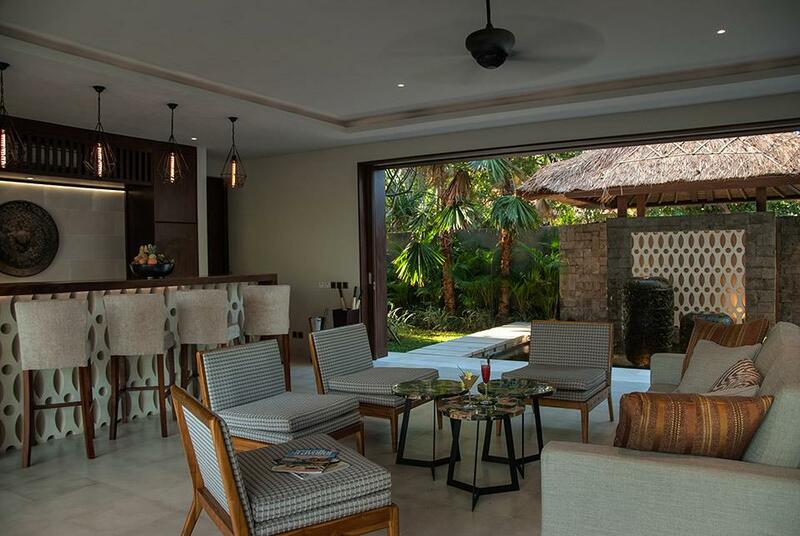 At night enjoy air-conditioned comfort, or slide back the French doors and let the sea breeze cool your bedroom as you fall asleep to the soothing sounds of the ocean waves. Perhaps one of the greatest joys of staying here is being able to stroll through the village and meet the friendly local residents as they go about their rural work and religious devotion, giving you an authentic glimpse into the daily lives of the people who make this island so warm and welcoming. 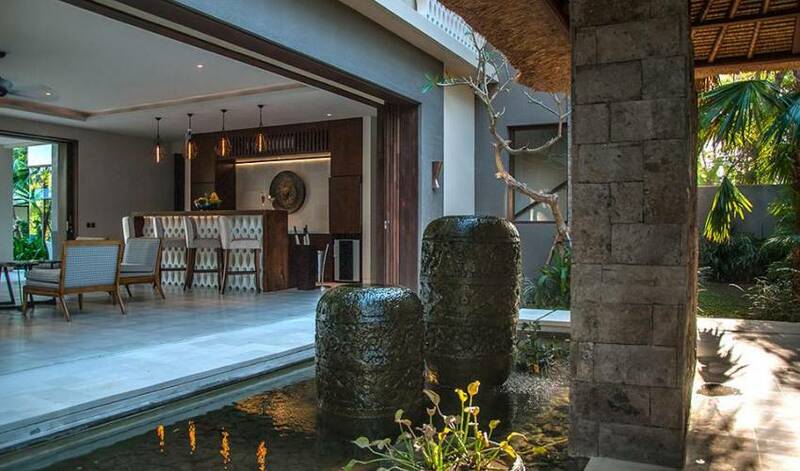 For those who wish to venture further afield, a car and driver is on standby, allowing you to explore the island or indulge in Seminyak’s trendy restaurants, bars and shops, just 14 kilometres away. Weddings and events are a villa specialty, and 11 bedrooms, spacious gardens and two swimming pools provide the perfect setting for your special day. 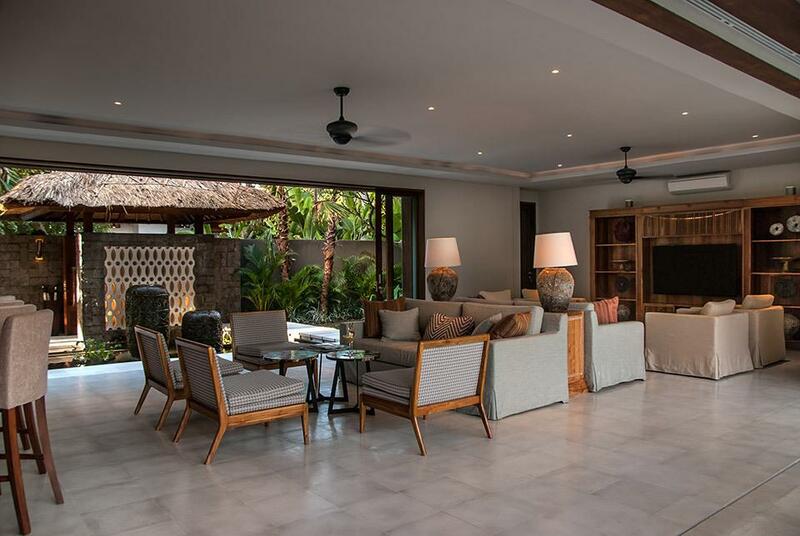 Entered through an ornate doorway and stepping stones over a fishpond, the ground floor of Seseh Beach Villa II’s symmetrical main building presents a spacious living room with a TV viewing area, a drinks bar and a sitting area. A guestroom and a four-bed bunkroom lead off one side while at the other is the kitchen, a formal dining room and access to the upper floor. 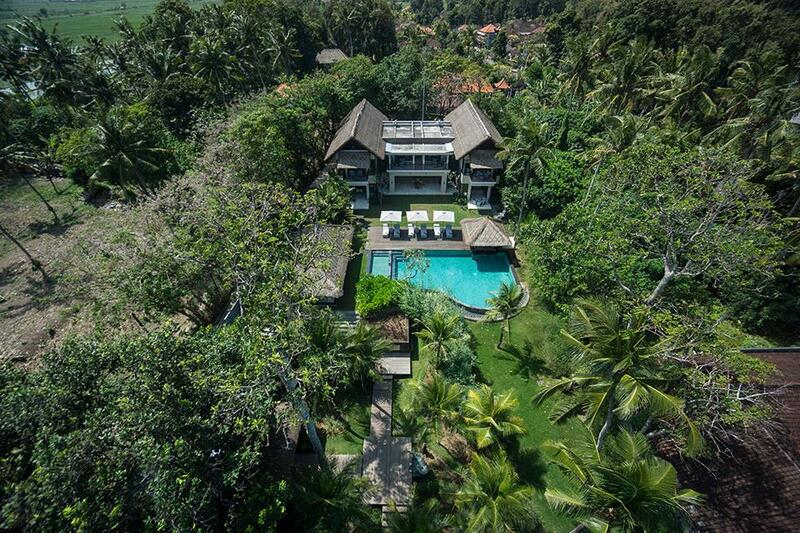 Upstairs are two master bedrooms, two guestrooms and a balcony overlooking the garden and the sea. 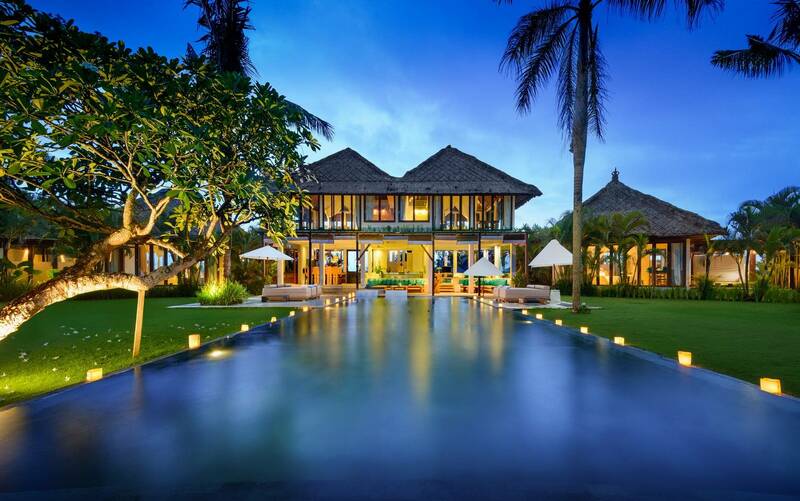 Within the villa grounds are a dining pavilion, a private 14-metre pool with a sun deck, relaxation pavilion and garden with a large lawn space. The two master suites are situated upstairs under the high thatched roof, with each offering a view of the pool and garden, and a glimpse of the sea beyond, from the four-poster queen-size bed and the adjoining balconies, which are cherished spots for relaxing in private. Guests can enjoy a 39-inch satellite-channel TV in each bedroom, a walk-through dressing room, and an air-conditioned, white and light bathroom with a freestanding oval bathtub for two, twin washbasins and a large, glass-sided, walk-in monsoon shower with a view of the sky through the partially-open roof. Two of the three air-conditioned guest bedrooms can be found upstairs and one downstairs. Each is furnished with a king-size bed – one of which can be converted to twin beds – and equipped with a 39-inch satellite-channel TV. Glass doors in the upstairs guestrooms slide open to a large and breezy communal balcony furnished with sofas, armchairs and coffee tables, while the downstairs guest bedroom has a garden terrace. Each bedroom is adjoined by a stylish bathroom with a bathtub and a walk-in shower. The downstairs guestroom also has an outdoor shower. 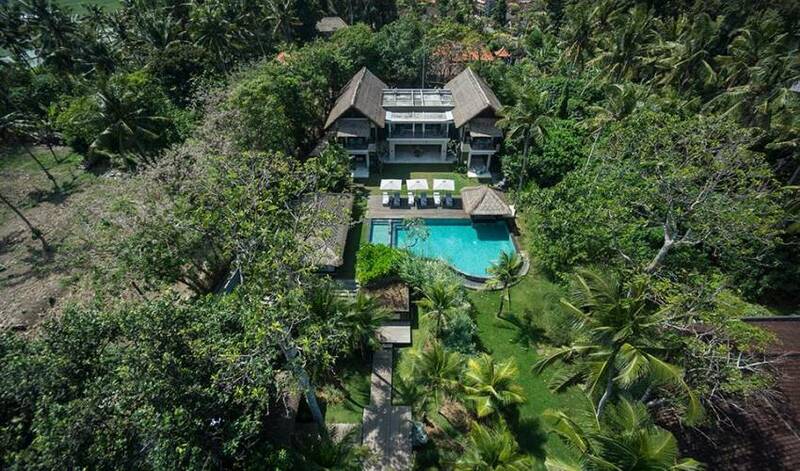 Seseh Beach Villas are located moments from the ocean in a traditional village that has a very strong sense of community and still retains the customs and culture of old Bali. 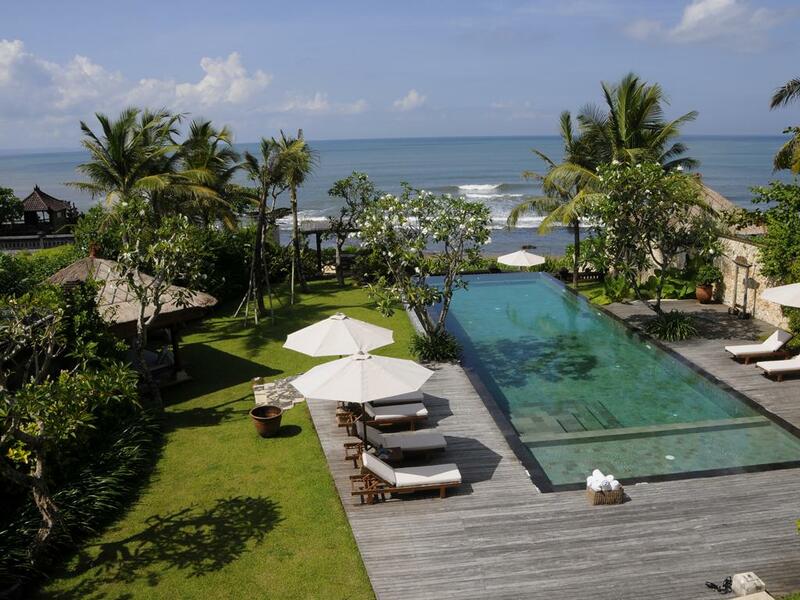 There are no sophisticated facilities in the area, so local activities are limited to walks on the beach or gentle hikes through the glorious rice fields. Alternatively, you can join in with some of the village activities, watch the temple processions, or befriend the staff and get invited to ceremonies. 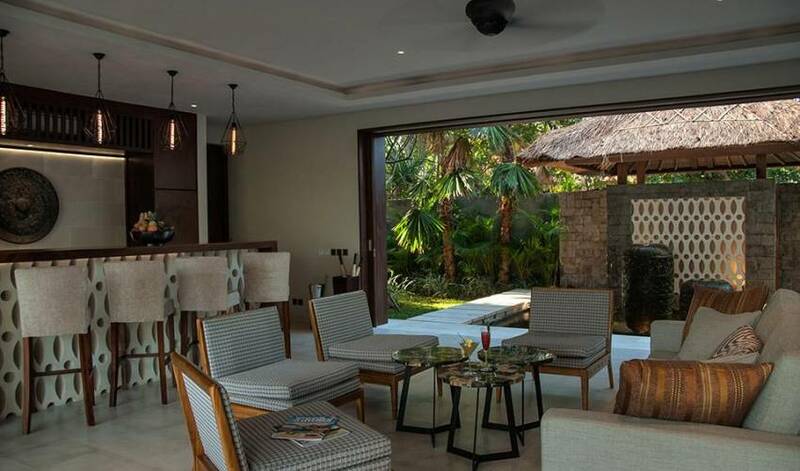 However, with the services of the villas’ complimentary car and driver, Bali’s many cultural, natural, gastronomic and retail delights are all within easy reach. 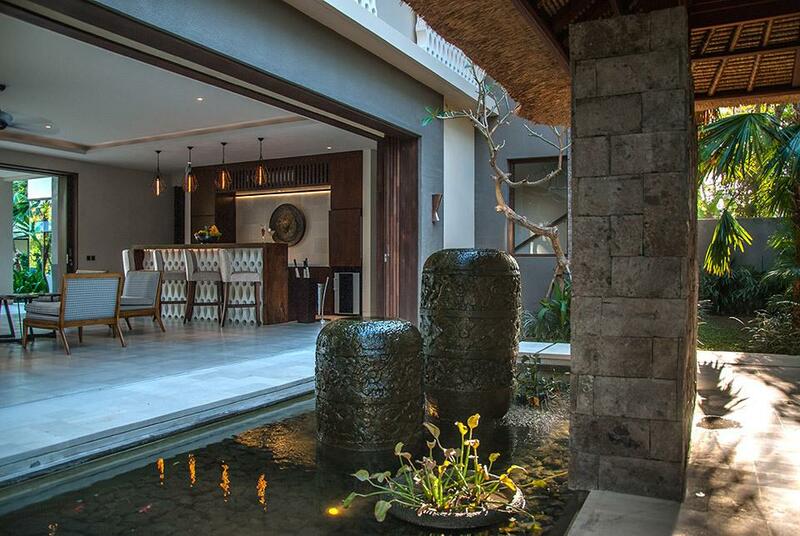 *Please note, this villa features a traditional Balinese style roof & open air living area.